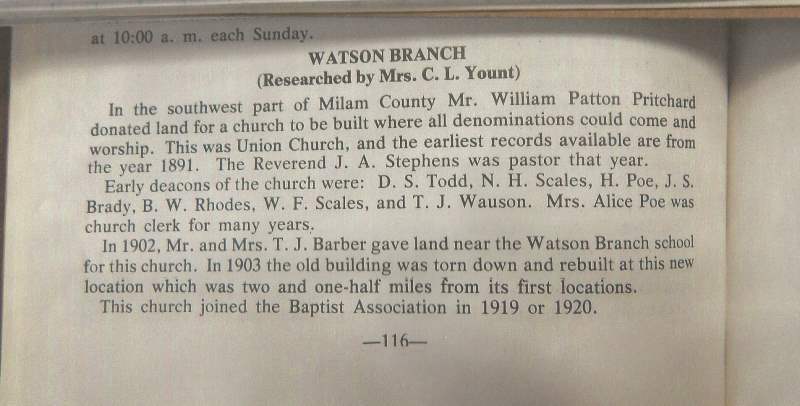 info about Watson's Branch where my grandmother Sanders was born & raised. Standard reply sent to Ms Peterson - info request sent to MCHC members. there. I have heard the pits were very, very deep in places. When did your mother live there? 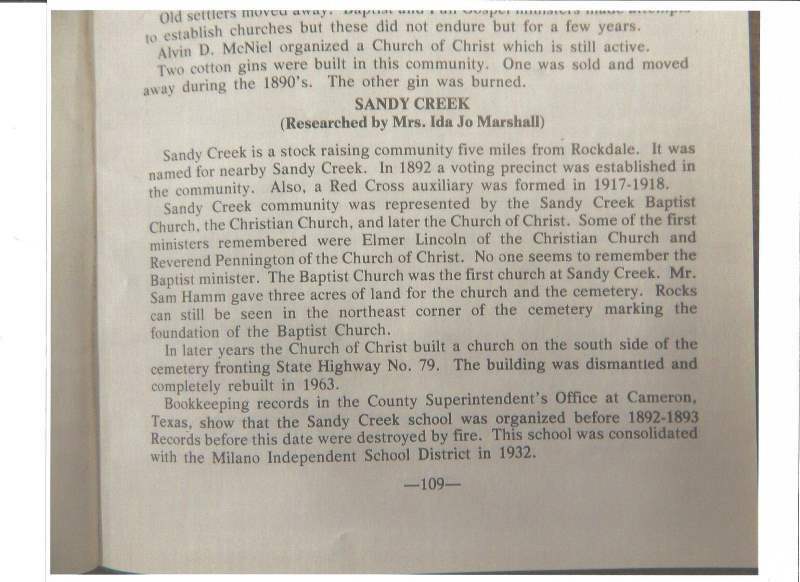 reference, gives a brief history of the Sandy Creek community. Attachment # 4 & 5, which was researched by Mrs.
believe that I may have stumbled across a special treat for you. If your grandfather Sanders initials were J.
and Mr. Jerry Caywood our website administrator, I hope that we've resolved some of your questions. talk much about her life there. I can't thank U enough for spending your time to help me research this. Dear Barbara, Thank you for your kind words. It's our pleasure to assist you. rethinking my reply due to her thought process and timeline. 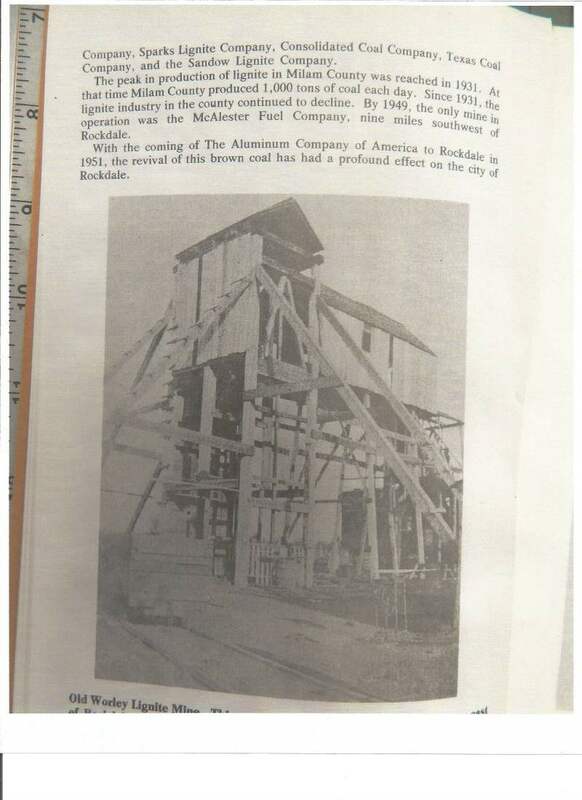 McAlester Fuel Company, nine miles southwest of Rockdale". wouldn't have wanted to walk thirteen miles to take a shower and then the same distance to return back home. 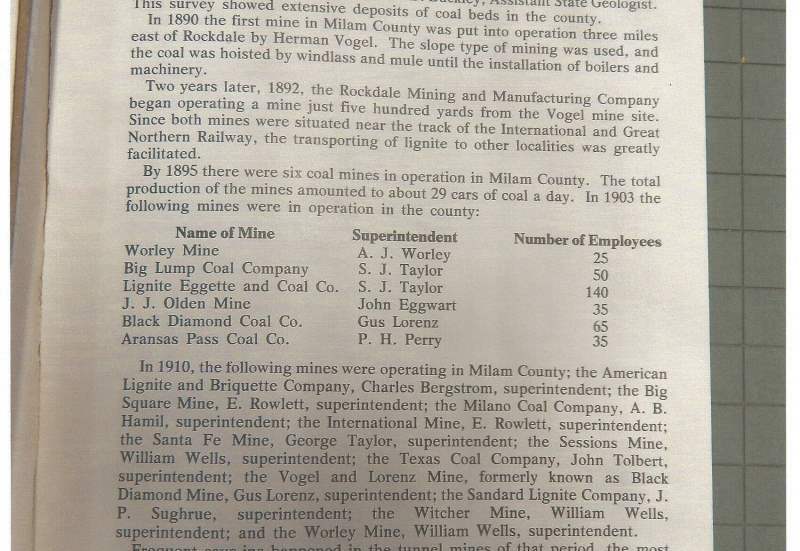 coal. Would the locals have used the term "Big Sandy" in that regard?. attention. 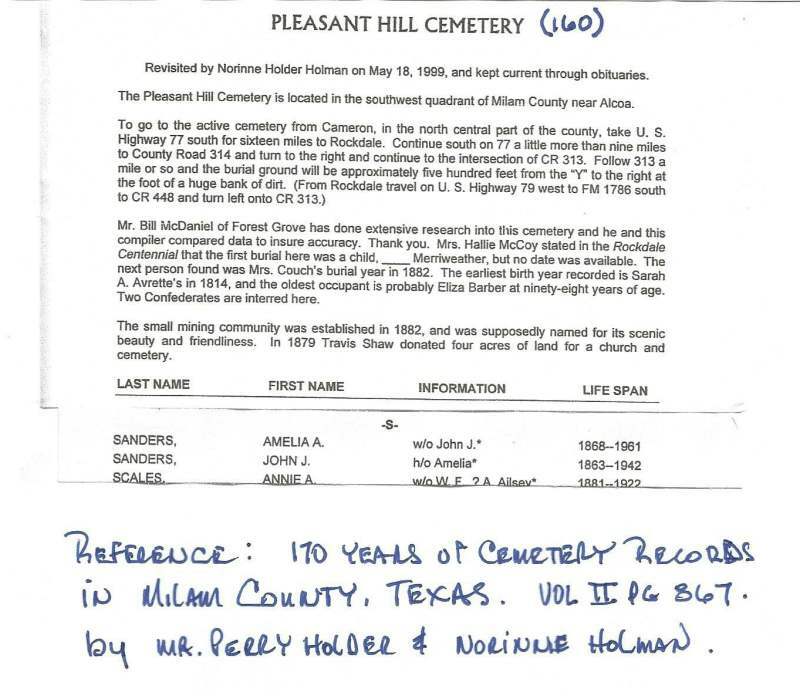 Reference source is stated on the page. in J. J. Sanders name as well. the timeline more on track. Hi John is the book that U sent the copies to me from available for sale? If yes when can I purchase one? Barbara, attached is the article on Watson Branch. 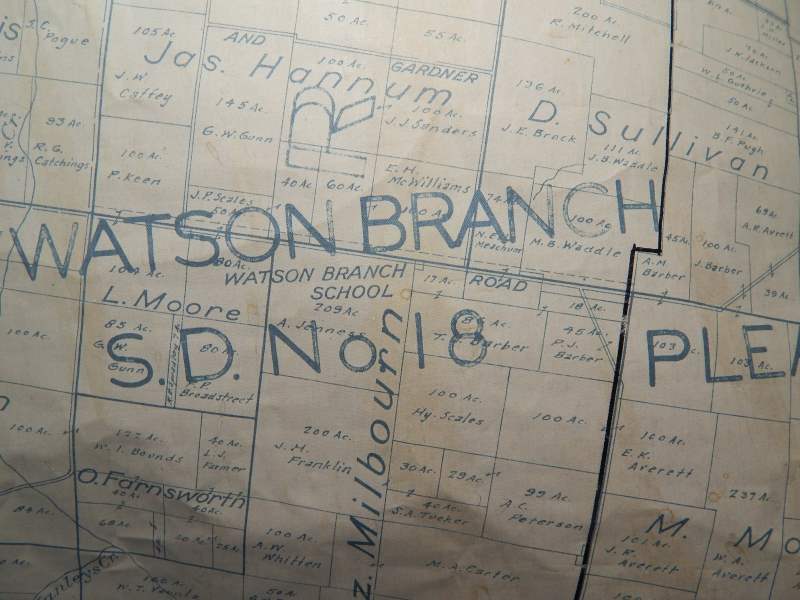 Sandow and Watson Branch are both in southwest Milam County. didn't make the connection until I saw that Permelia Ann Foke married George Washington Guthrie. year. Early deacons of the church were: D. S. Todd, N. H. Scales, H. Poe, J. S. Brady, B. W. Rhodes, W. F.
Scales, and T. J. Wauson. Mrs. Alice Poe was church clerk for many years. This church joined the Baptist Association in 1919 or 1920. 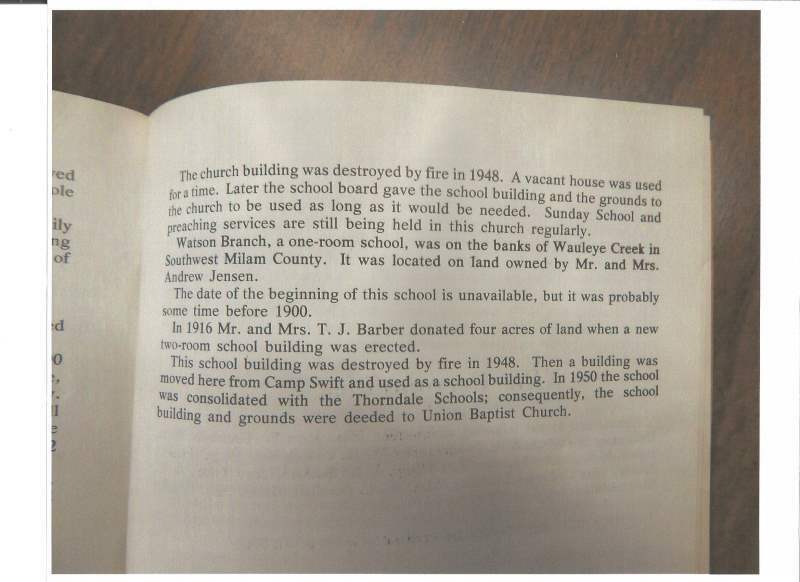 The church building was destroyed by fire in 1948. A vacant house was used for a time. Mr. and Mrs. Andrew Jensen. The date of the beginning of this school is unavailable, but it was probably some time before 1900. In 1916 Mr.